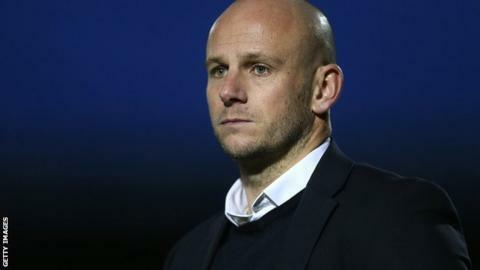 Mansfield Town say they are "not surprised" that manager Adam Murray has been linked to the vacant Walsall job. The League One Saddlers are looking to replace Dean Smith, who left the club on Monday to take charge at Brentford. Murray, 34, in his first full season in charge of the Stags, signed a contract extension in October. "The club is not surprised by the rumoured interest. It reflects the huge strides which have been made under his management," a club statement said. "Adam is under contract with the club and we are confident that he will continue to build on the work which he has started for many more years to come." Murray moved into management in November 2014, initially taking over from Paul Cox on an interim basis. The former Derby County midfielder kept the Stags in League Two last term and after 20 games this season, Mansfield sit seventh in the table.